The weekend flew by and I can’t believe its already Monday again. 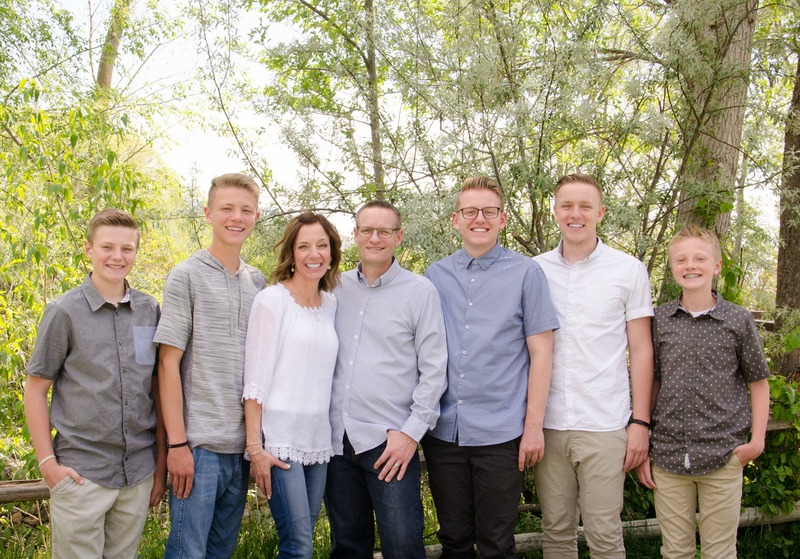 I’m not complaining though, I live for Mondays because we get emails from my son who is currently in Peru serving a mission. Yep, Monday is my favorite day of the week, at least for the next 20 months it will be. 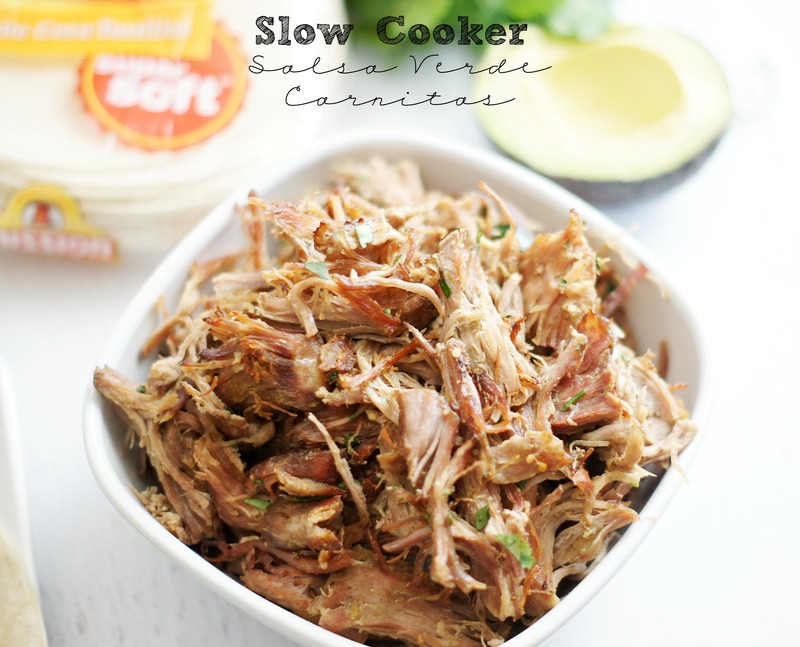 I love, love, love when I find a delicious slow cooker recipe. I love my slow cooker but let’s be honest (at least in my experience), some slow cooker recipes aren’t all that fabulous. 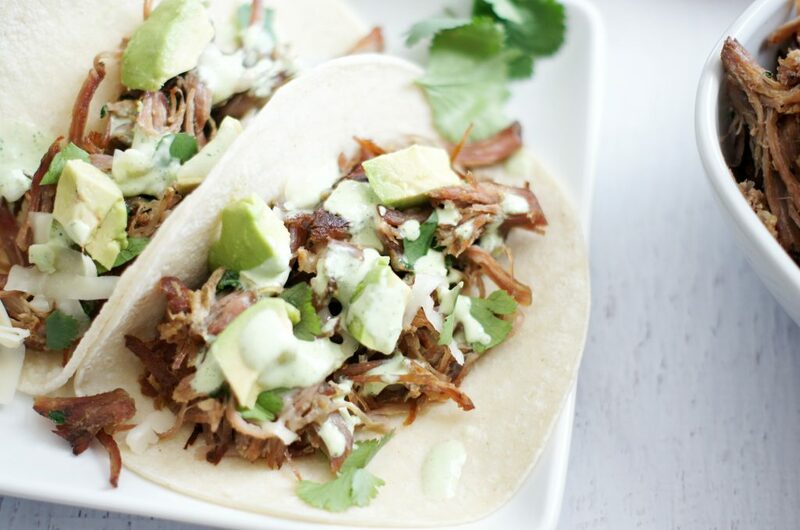 I can honestly say I hit rockstar status last week when I made these slow cooker salsa verde carnitas. We were all pretty much speechless because we were too busy snarfing down these tacos. My 16-year old declared these the best tacos he’s ever eaten and that I’ve ever made and these are now his favorite. My husband kept saying over and over how freaking delicious the meat was. There are so many reasons to love this recipe. It’s simple, incredibly delicious, done in your slow cooker and so versatile, you can use it for tacos, burritos, enchiladas, nachos or even on its own. After we all ate tacos we found ourselves just eating the meat right out of the slow cooker. It’s good, really, really good. 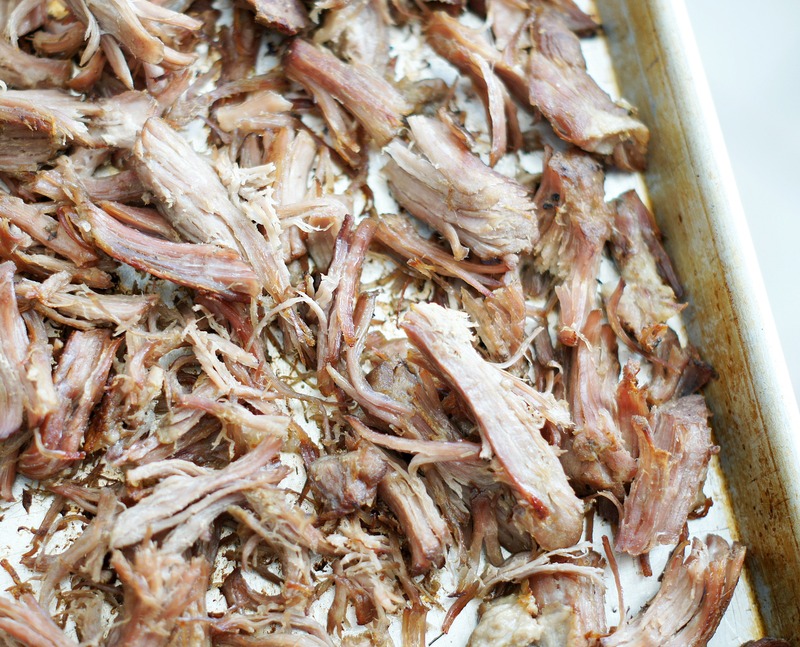 So in case I haven’t made made myself clear, MAKE THIS CARNITAS recipe, you will be so happy you did. This Salsa Verde Carnitas is the most amazing stuff ever. Use it in tacos, burritos, enchiladas, etc. You will fall in love with the first bite! Place the meat in your slow cooker. Add the salsa verde, onion, stock, cumin, coriander and oregano. Cook on low for 6-8 hours or until meat is tender and shreds easily. Preheat oven to 400°F. Remove meat and shred into large pieces. Spread onto a cookie sheet and roast meat for 15 to 20 minutes, until parts are brown and crispy. While the meat is roasting, remove the liquid in the casserole pan. Boil the juices, stirring, until reduced to 2½ cups, 8 to 10 minutes. Return the meat to the slow cooker add some of the reduced sauce back into the meat just to moisten meat (I only used about 1/2 - 2/3 cup). Stir in chopped cilantro. Season with salt, if needed. Serve in corn tortillas with cheese, sour cream, avocados and cilantro if desired. This carnitas can also be cooked on the stovetop by placing the meat in a heavy pan or Dutch oven, add the salsa verde, onion, stock, cumin, coriander and oregano. Bring it to a boil over high heat; reduce heat, cover, and simmer. Cook for about 3 hours or until the meat is very tender when pierced. It can also be cooked in the oven at 300 for about 3 hours. 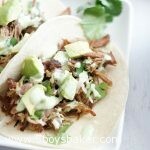 I used pork carnitas for this recipe. I love that it's already cut into smaller chunks and so it's so easy to shred after it's cooked. Hi Jodi, thanks for sharing another great recipe. I have a couple of questions before I try to make it. What cut of pork did you use and was it 3 1/2 lbs or bigger/smaller? What brand of salsa verde did you use and where do you buy it, or did you make it from scratch and if so will you share that recipe as well? Where do you buy that Mexican cheese, I’ve never heard of it and wonder if it is readily available at most grocery stores, if not what is a good substitute. Finally, how long did you end up cooking your meat in the crockpot on low – closer to 6 or 8 hours. Sorry to be a pest, thanks for any additional information. Hey Adam, totally legit questions and you’re not a pest. I actually used pork carnitas, and it was about 3 lbs. I buy it at Winco and I love it! It doesn’t have a ton of fat, but just enough for good flavor. I used (and love) the Trader Joe’s brand of salsa Verde. It’s not quite two cups like the recipe calls for, but I still just used one bottle. I was out of the crumbled Cotija, so I just used grated Montery Jack. You can buy the crumbled Cotija at most stores, it’s usually just in the cheese section of the store. Here is a link so you can at least see what it looks like: http://www.bing.com/images/search?q=crumbled+Cotija&FORM=HDRSC2#view=detail&id=479E13101E5DED093A03569A5F2CEE8009EA35E1&selectedIndex=0. I cooked a little less than 6 hours, but every crockpot is different so you’ll just have to watch it. I hope you love it as much as we did! Jodi, Just wanted to say thank you for the recipe – made it last night and everyone – including my 5 year old LOVED it! Thank you! And I also wanted to say I enjoy getting your emails! Thanks for the comment Rebecca. So glad you loved it. I love how easy they are to make. Keep checking back. Well, Jodi this was delicious! Everyone loved it and I have leftovers for Jack when he comes home tomorrow. Nathan said “We need to have this more often!” Success! Yea!! I’m so glad you liked them, I knew you would :). Thanks for letting me know. Another great recipe! Your my favorite new blog! (Well, new to me, I mean) It was sooo good; I made it last week and my family was raving! Thank you Brie! You just made my day! This recipe is absolutely one of our absolute favorites! I learned this dish from my aunt a long time ago. Probably my favorite recipe. As much as my original recipe has a lot of sentimental value, I’ve beenpoking around to see if there are any details I can tweak to improve it. You use cumin and coriander here and it seems pretty silly that I haven’t thought to work some spice into my recipe. Will be doing this soon. Hi Ryan! Yours look amazing!